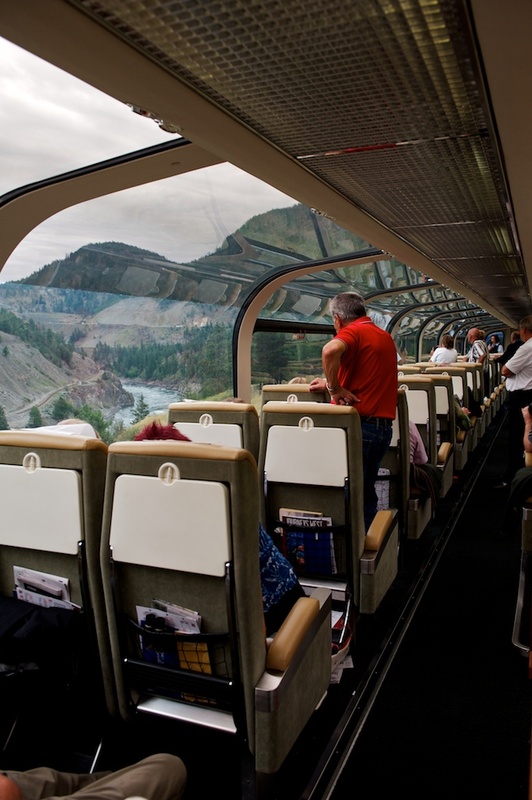 We’re on a two-day train trip from Vancouver, British Columbia to Jasper, Alberta, what many of my fellow passengers are calling the trip of a lifetime. 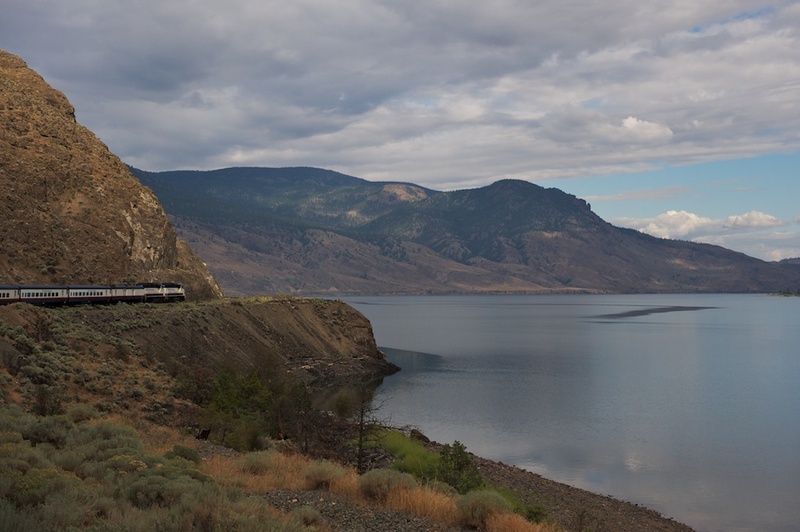 This trip I’m joined by my wife and granddaughter and we are aboard the Rocky Mountaineer, an upscale riding experience that winds through some of the most spectacular scenery in the world, a never-ending smorgasbord of mountain, stream and meadow eye-candy. For me, one of the joys of travel is chatting with my travel mates and, in the case of the Rocky Mountaineer, I find myself talking with folks from England, Germany, Israel, Canada and all over the U.S. The Rocky Mountaineer offers two levels of service; Red Leaf and Gold Leaf. Both sport a comfortable ride, nice seating and plenty of room. But the Gold Leaf service seriously amps the juice. Meals are created by a 4-person team for each car individually. In our case Christos Chaldeos, a 25-year old culinary school graduate, managed our kitchen… and did it with aplomb. 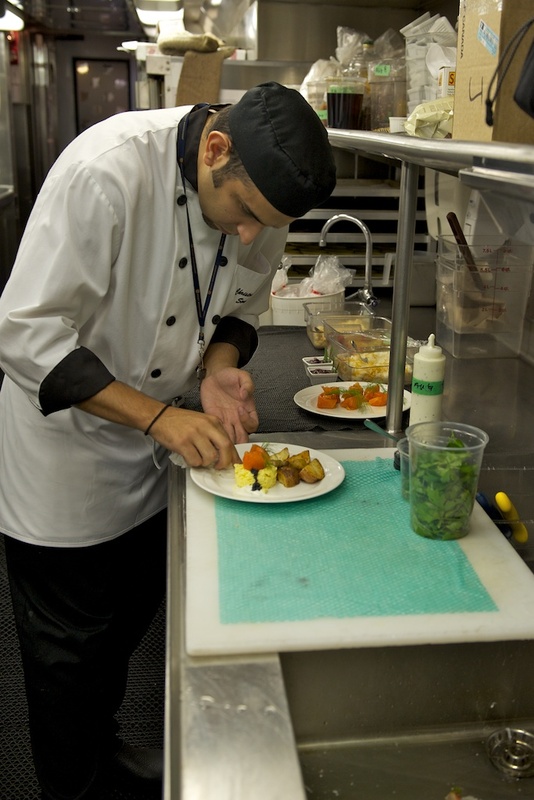 Individually prepared, hot meals rule, with suitable attention to garnishes and presentation. The wait staff is incredibly attentive. Life aboard a train quickly falls into a routine. The clacking rhythm of the wheels on the rails, the gentle swaying and the excellent meals together threaten to lull me to sleep. I have to strain to get up to photograph the train experience and the scenery or to type my notes. I’m not sure about the rest of you, but I find shooting from a train to be an exercise in frustration. The train is moving and rocking and vibrating, making proper exposure a dicey situation. Then I get frustrated by the trees, poles and other stuff in the way of my shots. Each car has an outside platform from where you can shoot, but it’s always got 6-10 people out there jockeying for position and conspiring to ruin my shot. The first day we traveled from Vancouver to Kamloops, a ten-hour ride through the industrial outskirts of Vancouver, through farmland and slight mountains, past copper mines, bald eagles and ospreys. It was a long day, but thoroughly enjoyable. The second day we traveled from Kamloops to Jasper. Now here was scenery! Not an hour out of Kamloops we started climbing from 1,200 feet to 3,000 feet by 3:00 PM, and 3,500 feet by time we arrive. The mountains loom 10,000 feet above us, showing off their icy glaciers and mint-green alpine meadows. What an incredible show! I was in Jasper and Banff National Parks last fall and the train ride has only wetted my appetite to be back and capture some of the amazing landscapes and wildlife. Tonight we’ll be in the town of Jasper and tomorrow we’ll be driving along the spectacular Icefields Parkway oohing and aahing all the way to Banff. FOOTNOTE: It rained heavily the entire drive from Jasper to Banff. Not one wildlife sighting and the mountains that surrounded us were hidden from view due to the fog and rain. But, we finally made it to Moraine Lodge and I’ll report on that in tomorrow’s blog (assuming I can find a decent Internet connection! ).